Advocating \"zero accident mission\", Railway Minister Suresh Prabhu on August 29 asked other countries to make India their base for manufacturing as the government will be investing USD 120 billion over the next five years to develop the railway services. 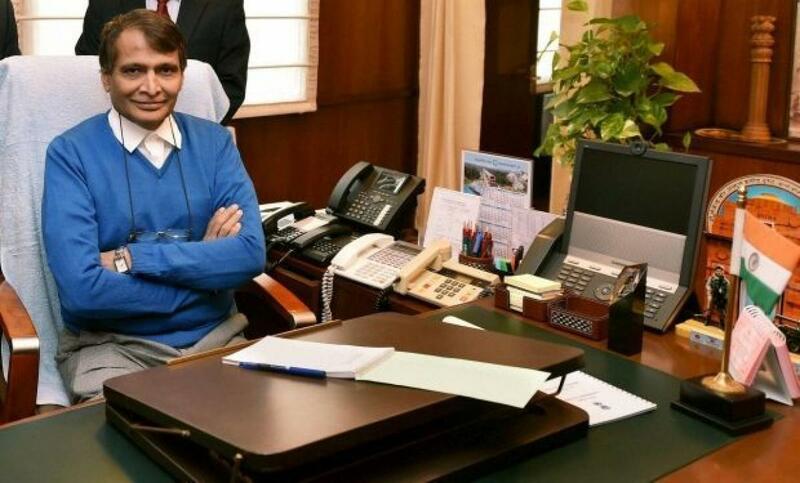 Advocating "zero accident mission", Railway Minister Suresh Prabhu on August 29 asked other countries to make India their base for manufacturing as the government will be investing USD 120 billion over the next five years to develop the railway services. Prabhu said the main thrust of any transport organisation should be on safe and secure transportation with zero scope for accidents and emphasised the need to launch "zero accident mission" with definite timeframe. "World-wide focus on transportation is safety and it is for Indian Railways as well. It is most important for us to ensure safe travel with the help of latest technology," Prabhu said at an international seminar here. The seminar on advances in command, control and communication system for main line, Metro and high speed transit systems was attended by many representatives of foreign nations including Japan, Korea, Russia, among others. He said India has technological collaboration with many countries in rail sector. Highlighting the scope of investment in rail sector, he said, "The government will be investing about USD 120 billion in the next five years in railways and the amount will be more in future." Targeting investment from abroad, Prabhu said India has advantage of skilled man power, big market and large manufacturing base and in addition to internal consumptions such manufacturing hubs have export potential. "There is a positive environment for make-in India. We would like to have partnership with other countries to make India as a manufacturing hub. Come and make your goods here and then export from here," he said. He further said that Railways is working on Make in India strategy to attract investments. He also laid emphasis on development of technology like remote sensing to control accidents at unmanned level crossings by providing indications about approaching trains and any obstruction on track. Prabhu pointed out that in such conferences "we should focus on global benchmarks and assess our standing as compared to global standards". "We should adopt new appropriate technology to minimise human errors. Our objective should be to have zero accident mission with a definite time line," he said. He, however, said that this requires integrated approach involving use of cost effective advanced technology and properly trained manpower. He further said that new advances in command, control and communication system can play a very vital role in evolving safe and secure operation environment on Indian Railways where there should be no scope of accidents even in case of human errors.